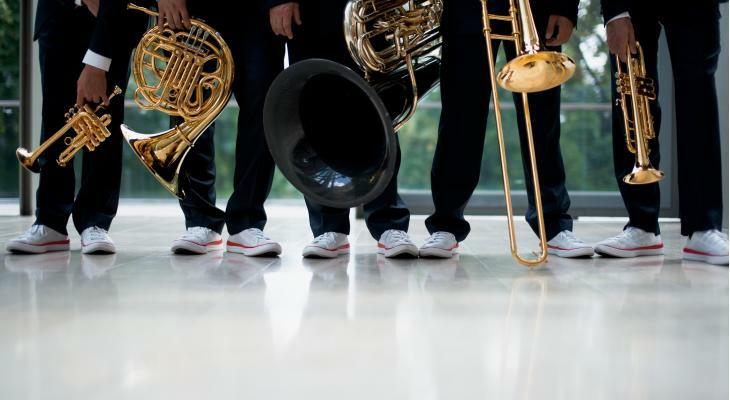 WIE: Koperkwintet Canadian Brass bestaande uit Achilles Liarmakopoulos (trombone), Jeff Nelsen (hoorn), Caleb Hudson en Chris Coletti (trompet) en Chuck Daellenbach (tuba). WAT: Themaconcert Carnaval met Magic Flute Ouverture (W.A.Mozart, arr. Ken Watkin), Werken van J.S.Bach (Jazzed up Bach), Latin Journey (arrangementen met muziek uit Argentina, Peru en Venezuela), Mostly fats (Fats Waller, arr. Henderson), Slim Trombone (Henry Fillmore), Carnival of Venice (traditional, arr. Hudson), Selections from Carnaval (R. Schumann), Tribute to Jazz and Dixieland (verschillende componisten), Carmen (Bizet arr. Mills).